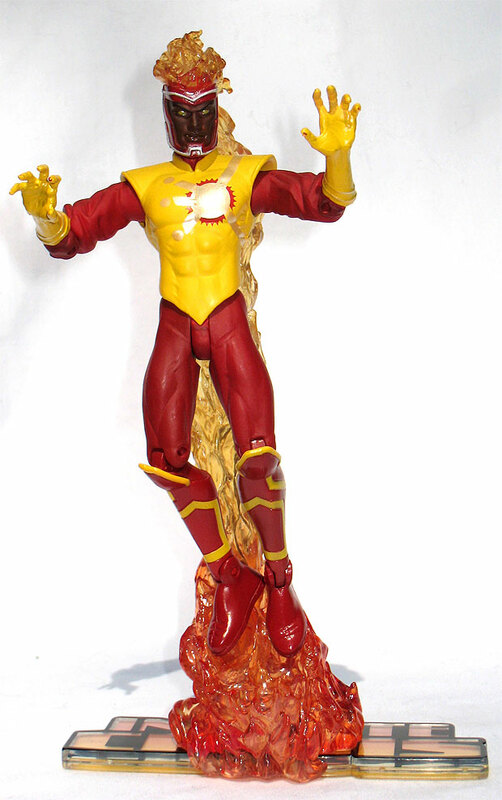 Here is your resource for Firestorm action (and inaction) figures! 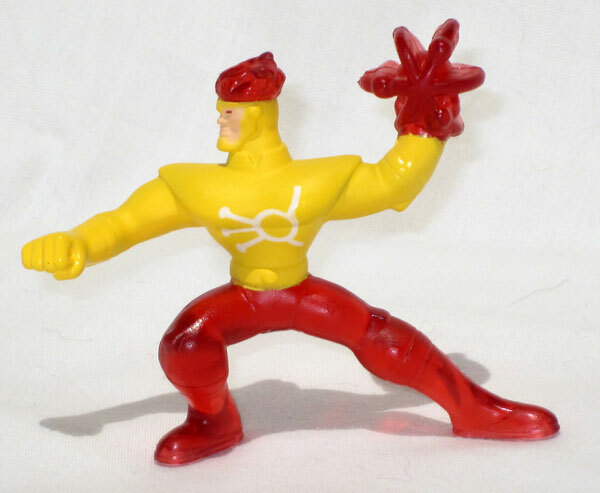 Several Match-heads have requested a guide to the Nuclear Man in molded plastic, so I’m happy to oblige. 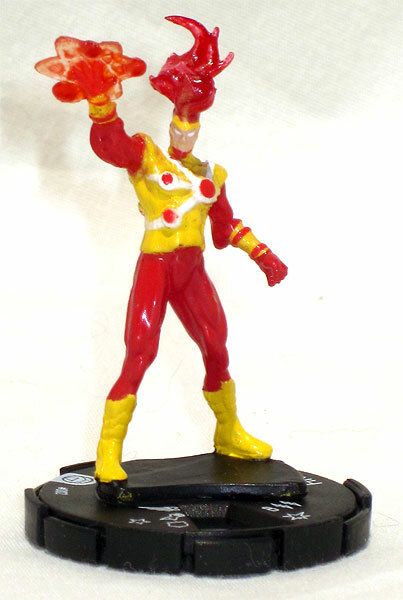 Below you’ll find every Firestorm action figure produced to date. You can use the group photo at the top to provide a sense of scale for subsequent pictures. Also, I’ve provided links to more information when available. 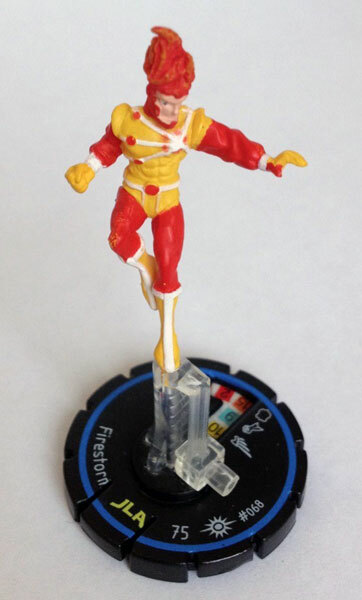 There will be a follow-up post soon featuring Firestorm’s supporting cast and foes. 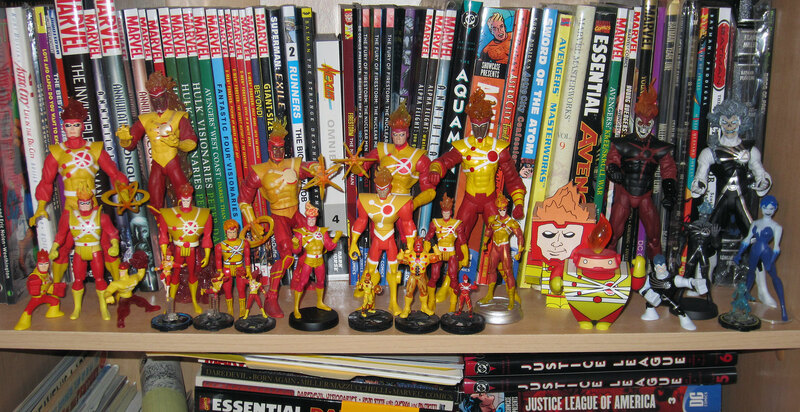 Here is a snapshot of my own personal collection! Click to enlarge. 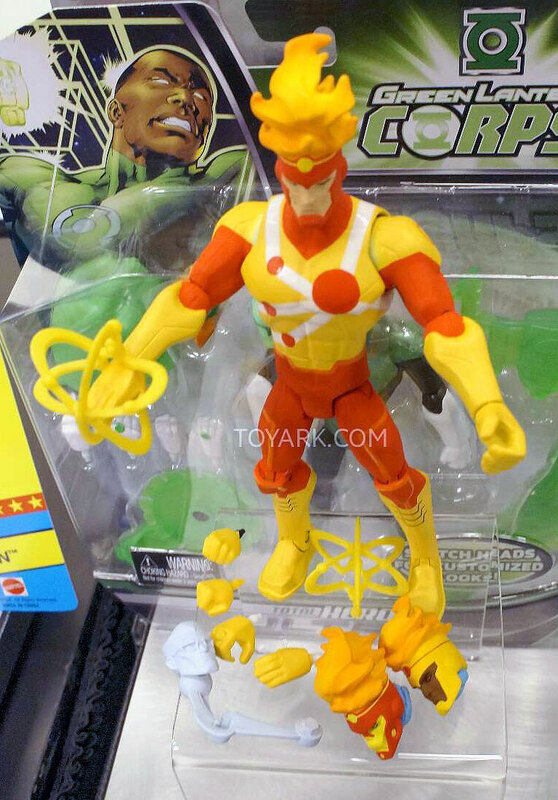 Instead of fire-hair, I’m pretty sure that’s just Aquaman’s hair repainted. 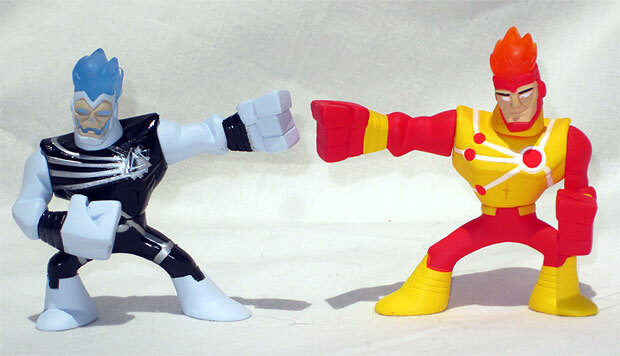 Cool pose, but the paint jobs can REALLY vary. 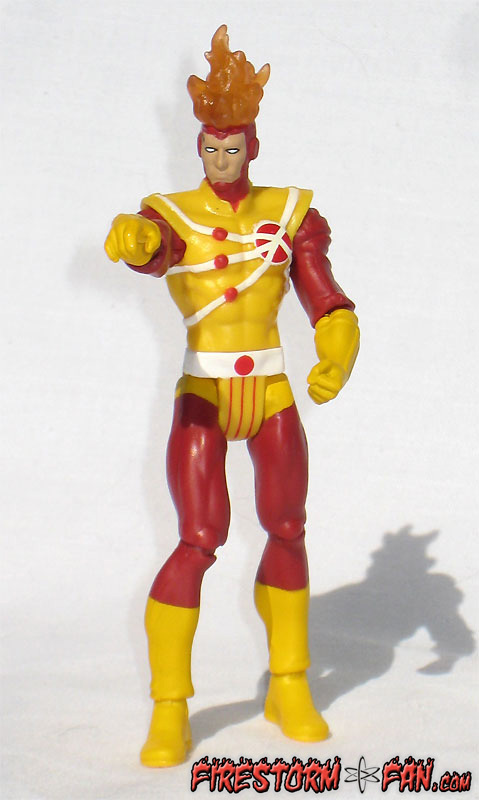 Jason Rusch as the new Firestorm, and thus this figure’s design was out-dated at release. Yes, that’s right.. with Angle Man?!? Click to enlarge. 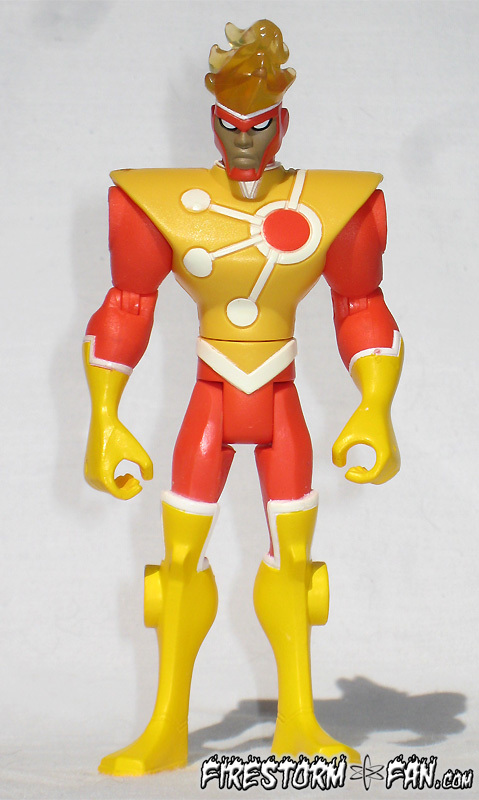 was released just after a new look was revealed, thus making the figure’s design out-dated. with a floating Professor Stein head accessory!! Click to enlarge. 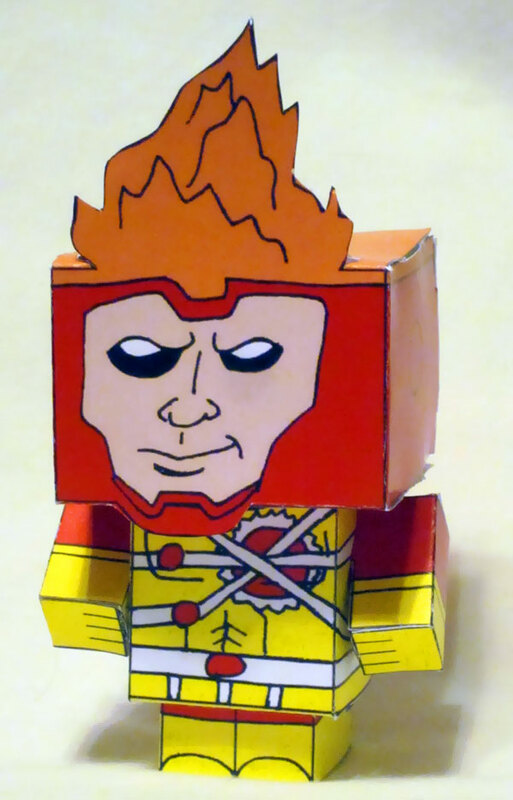 figure made entirely from folded paper! 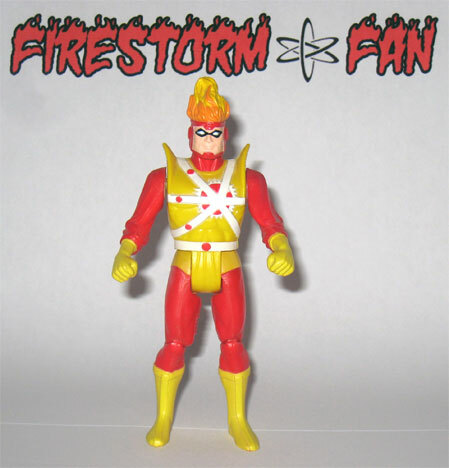 Thanks for checking out this Firestorm action figure index! 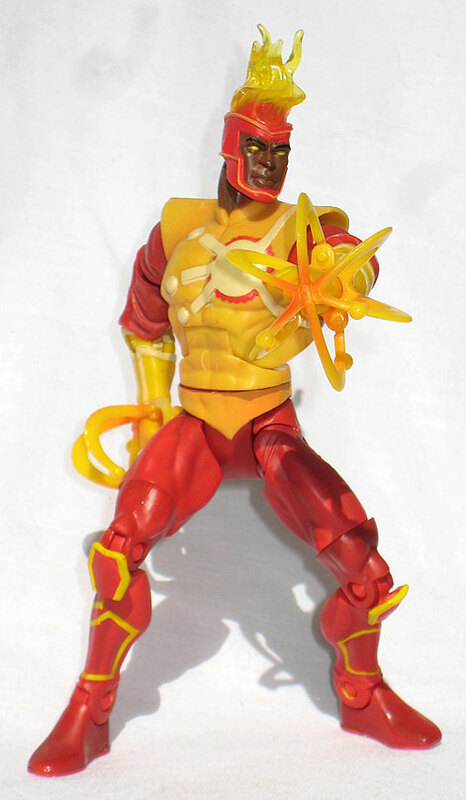 I’ll update it from time to time as more Firestorm toys become available. 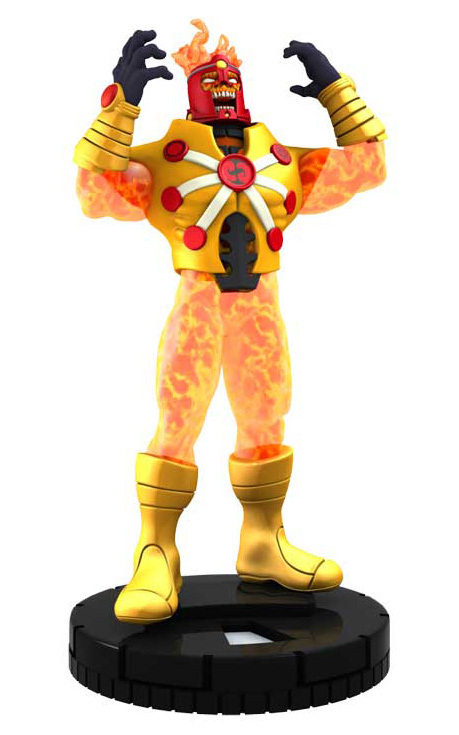 Reminder, there will be a follow-up post soon featuring Firestorm’s supporting cast and foes. So check back! Posted in: Brightest Day, Firestorm #01: Original (Ronnie/Martin), Firestorm #07: Jason post-Infinite Crisis, Firestorm #08: Brightest Day (Ronnie/Jason), Firestorm #09: New 52 v1 (Firestorm Protocols), Firestorm #10: New 52 v2 (Ronnie/Jason), Fury, Jason Rusch, Ronnie Raymond, Super Powers Collection, Toys, Yildiray Cinar. Awesome Post Dude! 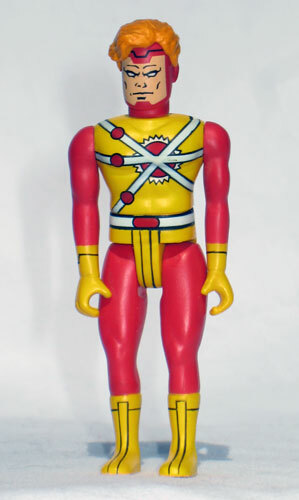 Great Action Figure Guide! 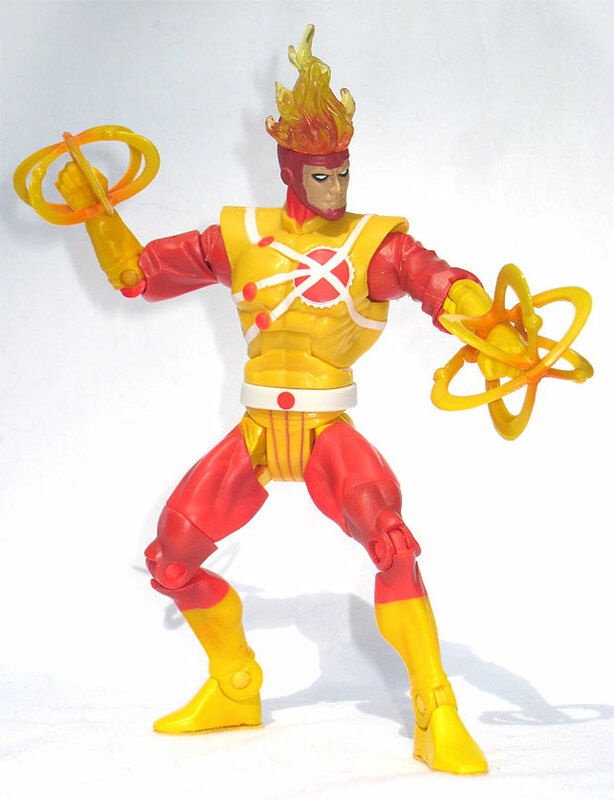 I can’t wait for the Total Heroes Firestorm figure! 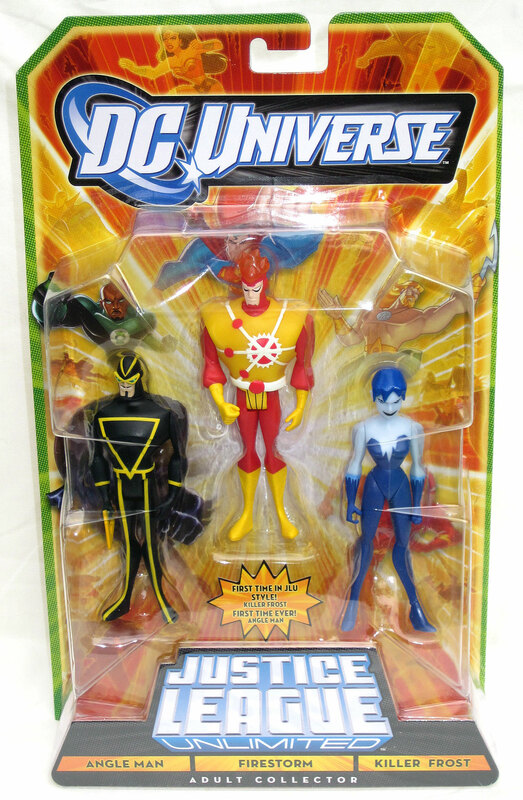 Not that it matters that much, but the JLU figure is also out there in a solo pack (that’s the version I’ve got). Granted, it would be better to have with Killer Frost, though of course it should have been Slipknot instead of Angle Man. SDF-7 Thanks for that info! I thought it was available solo as well, but didn’t find that noted anywhere. Thanks! Great pictorial review there Shag. Just goes to show modern DC changes every time you turn around. 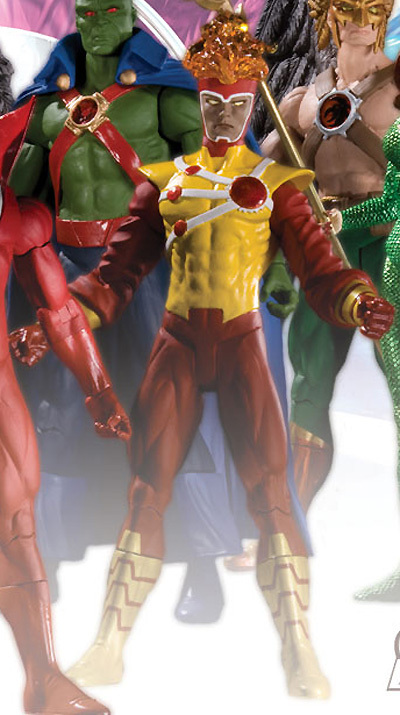 I think the DCD JLA Series 2 figure is exempt from this, though, since all of that line was “CAL-ASSIC” Bronze Age JLA versions, so Ronnie just makes sense there. 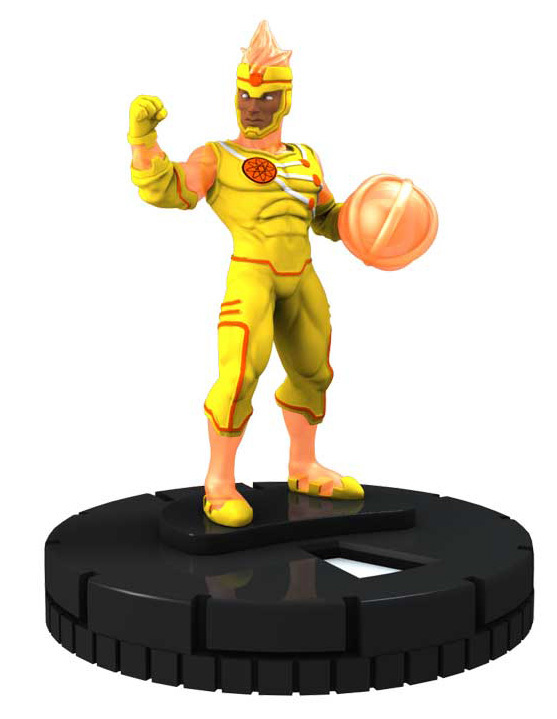 I’m still a sucker for the SP figure, but that DCD one is nice, as is the DCUC figure. OK, this is a Great reference to the one’s I have & the one’s I need! 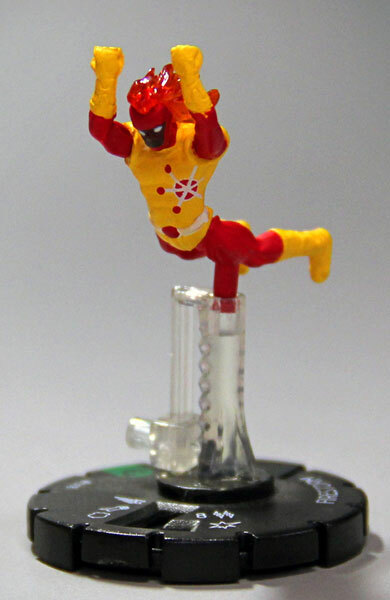 Where can I get the HeroClix at? Ideas, Links, pricing? 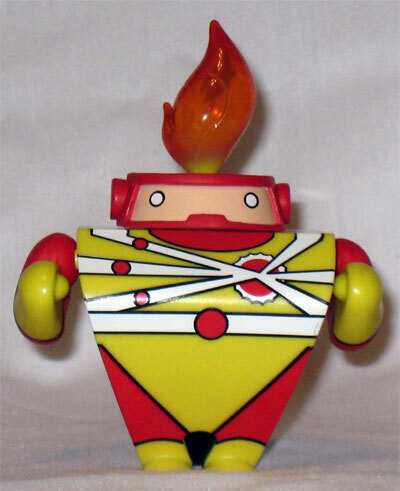 Hi Ken – I’d suggest eBay (as SDF-7) indicated and Amazon. Both are good resources. Not sure on fair pricing. Good luck! seems to have promising results. i still need to get a few of these myself. even though i’m not a jason fan. i still need the jason ones, just to complete the set. 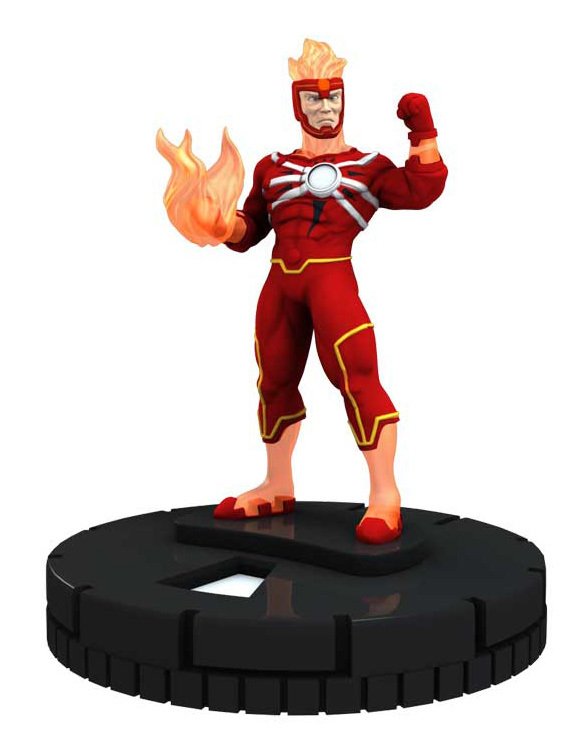 Getting that Eaglemoss piece without paying an arm and a leg for it (especially considering shipping) has been harder than I expected.